Always Asks Design in Scent. How to scent your wedding? Have you seen the competition I’m running at the moment on my social media? 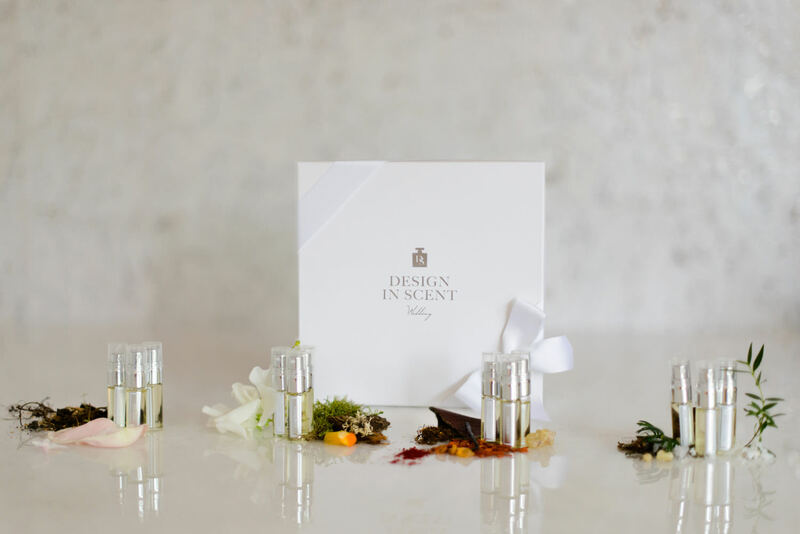 It’s to win a Planning + Inspiration session with me plus a fabulous box of goodies including a Fragrance Discovery gift set so today I wanted to introduce you to the ladies behind the box – Design in Scent. So for the those not in the know what does Design in Scent do? Bespoke fragrance Design. For those looking for a fragrance that is entirely unique to them, we provide a couture fragrance service where brides and grooms meet with our Master Perfumer at a secret perfumery and spend either a day, weeks, or months (depending on the service chosen) creating a perfume that is entirely unique to them. The formulation for this scent is written in a ledger that is stored in Coutts bank so that it is never lost and only accessible by the one who commissioned the scent. We also provide this service for brands looking to create signature scents. Scent Salons. During a one day experience, we create perfume masterclasses where guests learn about their sense of smell and the art of perfumery in fun and interactive ways. The Design in Scent Wedding Collection. 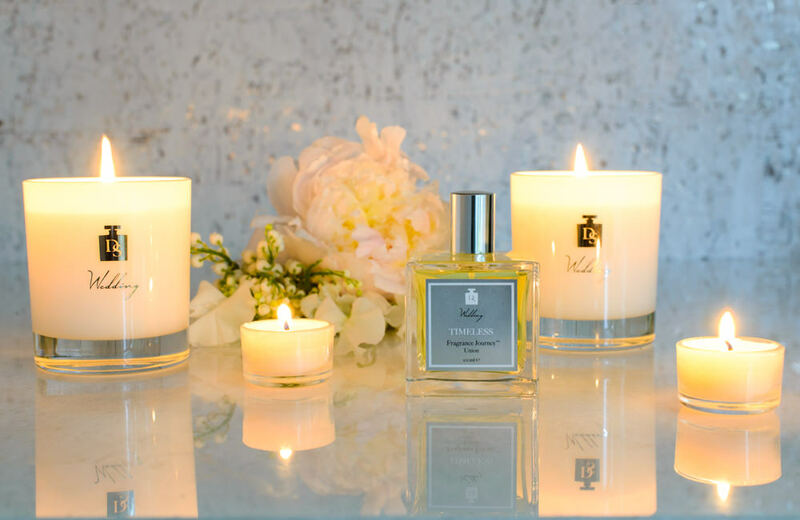 On the 3rd July we are launched our first retail fragrance range which is composed of 12 fragrances for couples to wear, scent their wedding with, and gift to loved ones. Why did you decide to set up Design in Scent and what’s the story behind your partnership? 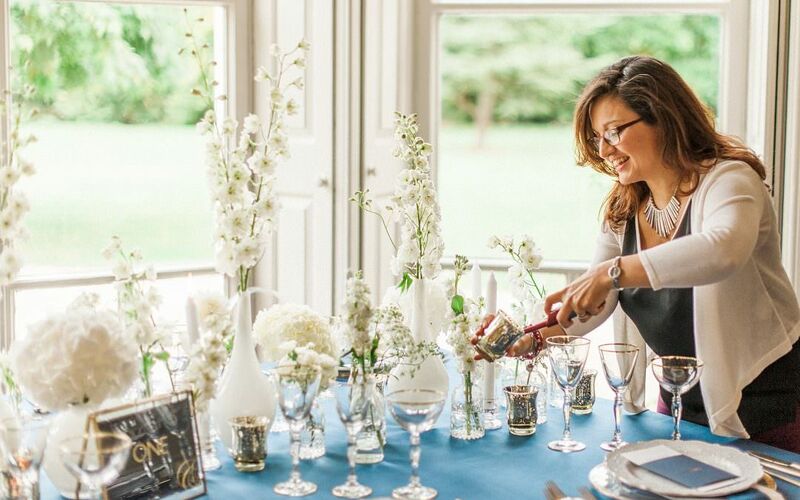 Gemma founded Design In Scent in January 2015 when she realized that adding a multi-sensory component to weddings and events could make them even more exciting and meaningful. Meghan owns a wedding planning firm in London and, in 2016, went to an industry event that was scented by Design In Scent. Almost instantly, Meghan fell in love with the concept of scenting weddings and events and, on a larger scale, the power of scent itself. Then, when Meghan and Gemma met they became fast friends and powerful business partners! 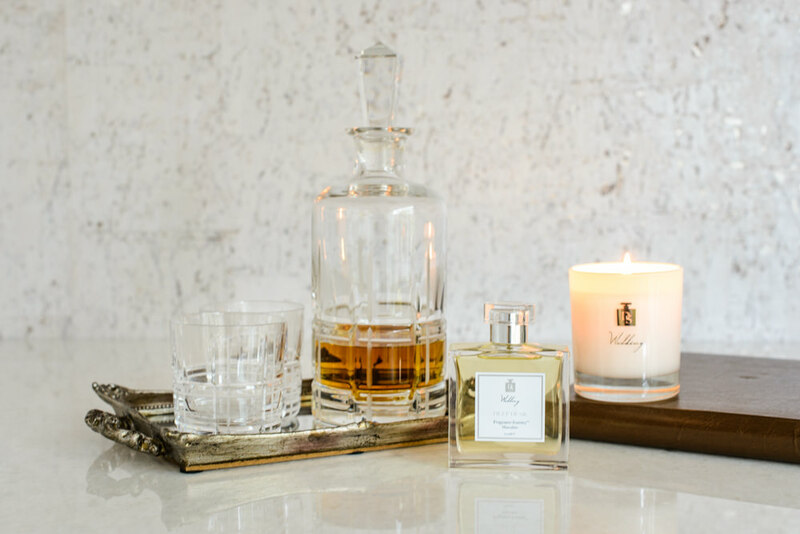 What we love about scent is its ability to bring you back to a certain moment in time while evoking such powerful emotions. When combining this with an engagement and weddings, we believe scent can centre a bride and groom throughout their engagement, their wedding day, and throughout their married life; simply smelling the scent that they first wore when their love was at its purest and most joyful will always remind them of why they decided to go on life’s journey together. Where do you find your inspiration for the scents? For our wedding collection, we imagined 4 different types of couples (one for each Fragrance JourneyTM) and the types of weddings they would have. From there we incorporated a lot of the floral elements that we imagined would be found in those weddings but also created the types of scents that embodied the season, colours, and moods of the couples and weddings we envisioned. We were also very inspired by the sanctity, importance, and joyfulness of marriage itself and always had this in mind as we designed each fragrance. Can you explain the Fragrance Discovery Box and how to get the best out of it? The Wedding Fragrance Discovery Box is designed to be a sampler of all 12 of our fragrances. In the middle of the box are 8 eau de parfums. These are the fragrances which are designed to be worn as perfumes and colognes. They are arranged in pairs because each pair is a Masculine and Feminine scent that have been designed to complement one another. 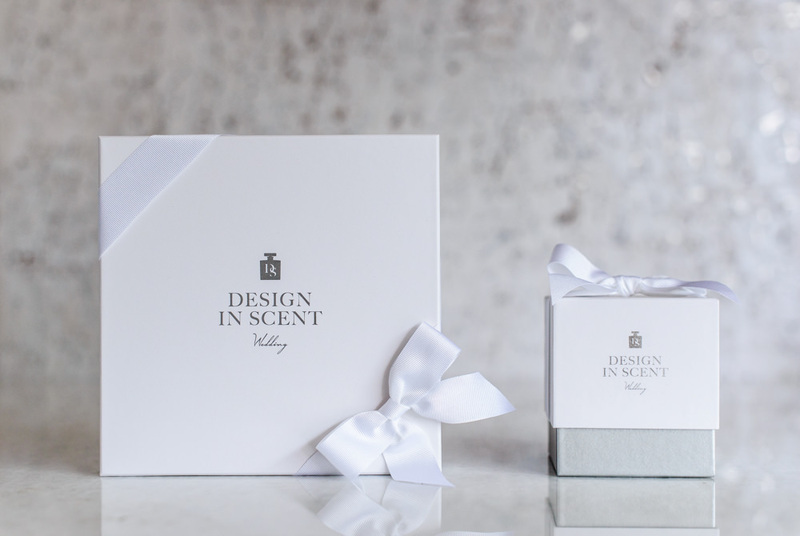 Around the edge of the box are the union scents which have been designed by combining the Masculine and Feminine scent which they sit next to in the box. These Union scents are for creating an ambience at home during your engagement or at your wedding venue on the big day with candles, ambience mists (which can be used to scent the air, linen, invitations, and confetti), or intelligent diffusers (boxes which connect to your iphone to control scent output). The Masculine, Feminine, and Union scent form what we call a “Fragrance JourneyTM”, thus, there are 4 Fragrance Journeys in the collection. Each Fragrance JourneyTM is representative or your own individuality and the power of coming together as one. We recommend that you and your partner take time to wear the eau de parfums on your skin. Meanwhile, spray the ambience mists in your home and think about whether you can envision that scent filling your wedding space. When one of the scents connects with your heart, you’ve found the right one! What has been your favourite wedding to work on? Every wedding is really special to work on so it would be impossible to choose one…. 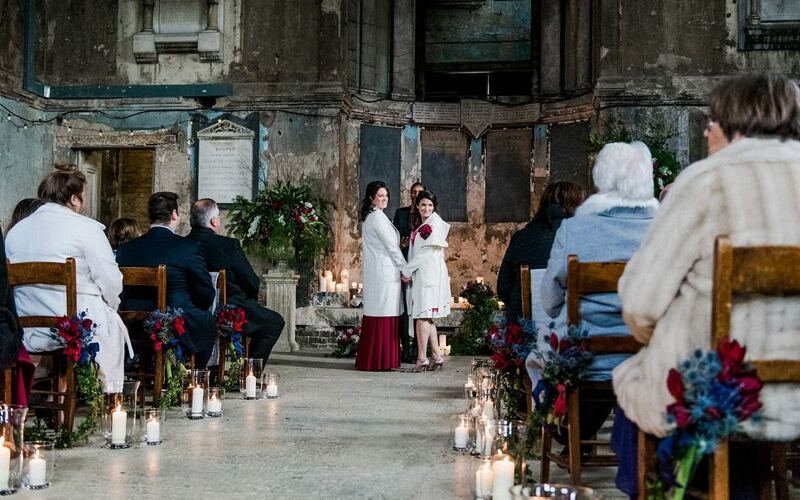 We recently had a wedding for 300 guests where the bride and groom each had a bespoke fragrance, then they created a union fragrance out of those two. They used our miniature perfume bottles and hung them from a beautiful tree in the middle of their wedding venue. At the end of the day, the men plucked off bottles of the groom’s fragrance and the women plucked off bottles of the bride’s fragrance from this tree. Meanwhile we scented the whole venue with their union scent using intelligent diffusers. This one was particularly special because the couple themselves were very passionate about scent. Why do you think couples should consider scent at their wedding? In a way wedding scent is like photography or videography. It will be something that, forever, reminds you of this incredible time in your life. What advice would you give to couples when planning their wedding? Do everything you can to be present and celebrate in the moment. Take the time to have a glass of champagne when you pick up your wedding rings, to write your soon to be husband/wife a beautiful letter for him/her to read on your wedding morning, and to give your friends a heartfelt thank you for any task they complete for you. Your engagement and wedding will fly by, so fill it with love and appreciate each second. Where do you see the future of Design in Scent? We have a lot of big dreams, high hopes, and (what we think are) great ideas! For now, we are keeping quiet on these though! What’s your one (non-wedding) obsession at the moment-something you just can’t live without? Meghan: Horses. I spend every spare moment I have riding (show jumping in particular…). Gemma: My dog. I have a new puppy (Chihuahua) named Atlas who is the cutest thing ever! I guess you could say we are both big animal lovers! Thank you Meghan and Gemma for giving everyone a little insight into Design in Scent- remember if you’d like a chance to win a Fragrance Discovery set enter my competition now via Instagram or Facebook to #winaweddingbox, don’t delay competition closes on Wednesday 19th July!